A tasty little treat from our Founding Father for lunch today. 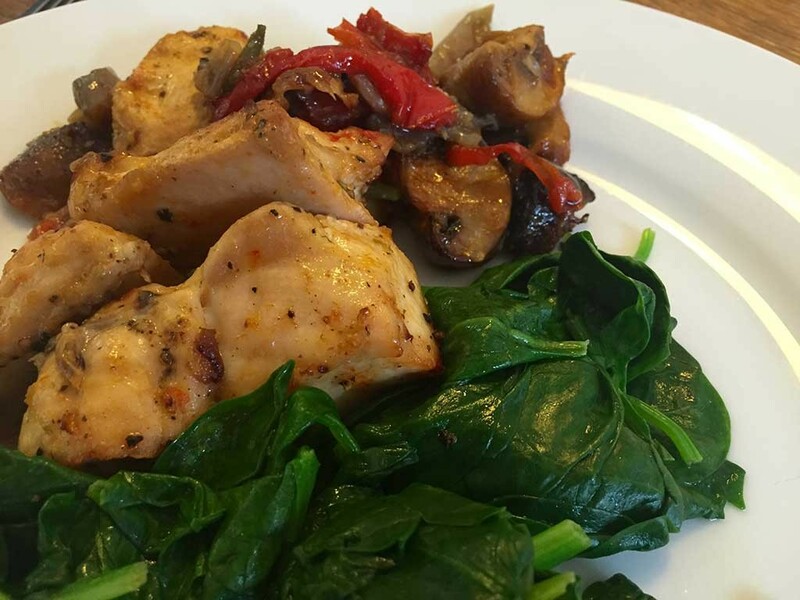 It took the form of spicy chicken, baked with a delicious blend of mushrooms, chorizo and onions, served with a bowl of freshly-plucked spinach. Plates were well and truly cleaned.